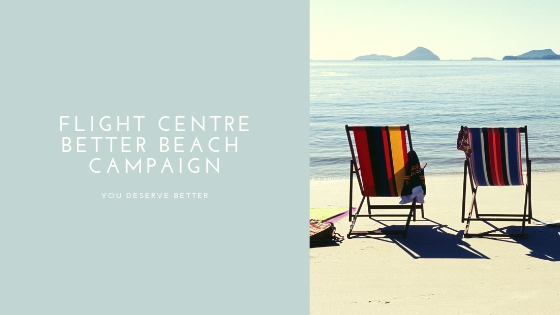 Looking for the marketing campaign of the summer? Well, you’ve found it!!! Canada is known for many things, but above all, the great outdoors! Our clients from Taste of Nature want to celebrate this by encouraging people to get back in touch with nature. Tigris has teamed up with this amazing brand for an 8 week long, cross-country experiential marketing campaign appropriately called “Urban Paddler”. Planning for this national promo tour got under way in mid-April for a mid-June launch. budget management for the entire marketing campaign including compensating staff and all vendors. Our field managers departed Toronto on Jun. 15 to arrive in Vancouver by Jun. 21. The summer marketing campaign kicked off officially the following day on Jun. 22. The activation came complete with a canoe on wheels (that we like to call a canoecycle or a bikanoe! ), an interactive photo experience and 100,000 samples to hand out. Furthermore, our field managers executed 25 retail samplings at various grocery and health food stores like Farm Boy, Longo’s and Healthy Planet. Taste of Nature also layered on a guerilla sampling program to the marketing campaign with our BA’s hitting up busy downtown green spaces from Jul. 9-Aug. 19 and handing out 40,000 more samples. Sounds like a unique marketing campaign, doesn’t it? 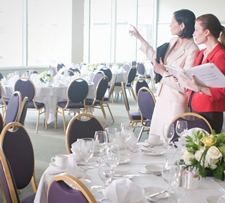 Curious about what this marketing campaign looked like in action? Here is a highlight video from our first event at the Vancouver Dragon Boat Festival. 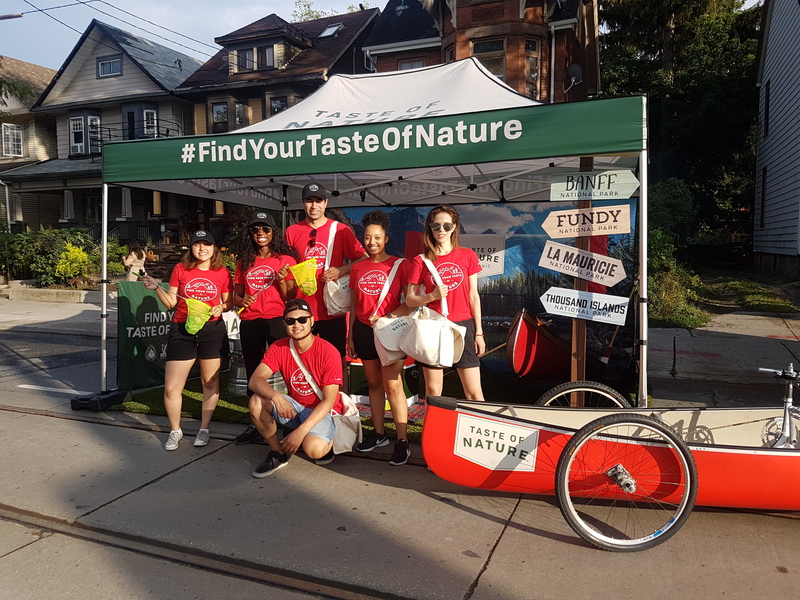 In addition to our team’s onsite activities, Taste of Nature teamed up with their PR firm Strategic Objectives for an integrated social media promotion. For every photo posted online that showcases the great outdoors with the hashtag #FindYourTasteofNature, $1 will be donated to Parks Canada. 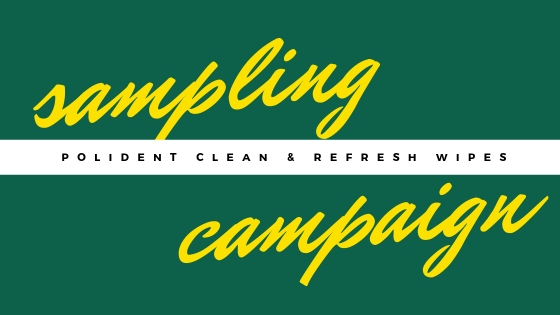 As a result, by participating in this campaign, you are helping our environment. Now that you know all about the great things Taste of Nature is doing nationwide, we had to ask. Are you familiar with their brand? If not, here is some information about them! Taste of Nature is Canada’s most popular organic snack bar. They are non-GMO product verified, organic, kosher and vegan. They are made with some of THE highest quality ingredients the world has to offer and most of them are also gluten free. And best of all, with flavours like peanut caramel, dark chocolate peanut sea salt and maple (to name just a few), they are pretty darn delicious too. Most importantly, it’s a snack bar you can feel good about feeding your family and yourself because Real Tastes Good! Since 1994, Taste of Nature has provided tasty, nutritious ways to snack. They don’t want you to simply like their bars, they want you to LOVE them which is why they use only the best ingredients like real nuts, organic fruit and sweet agave syrup. Because when you choose a Taste of Nature bar, you’re making a smart choice for your body (not to mention your taste buds!). Most importantly, creating tasty and healthy snack bars isn’t Taste of Nature’s only goal. They are committed to environmentally responsible growth and development. TOF sources products from the finest sustainable farmers and power production centre’s with 100% green energy. As a result, they are a brand you can truly feel good about bringing home! Looking to plan your own cross-Canada marketing campaign? Tigris has reach in over 15 markets across Canada including Toronto, Vancouver, Calgary and Montreal. We’d love to chat! Give us a call at 416.283.9119 or email us at info@tigriseventsinc.com to see how we can bring your brand to life with “The Power of Presence”.